Rounding whole numbers and rounding decimals (if taught correctly using visuals and not tricks) is one of those skills that I love to teach. It is fairly easy for all of my students to master it and find success. So, I always enjoy using this skill to push and challenge their thinking further. 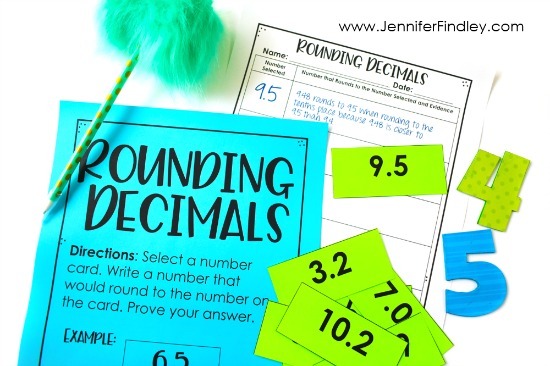 This post will share two simple but higher-level rounding activities that will challenge your students and deepen their understanding of rounding numbers (whole number and decimal versions). The first free rounding activity requires the student to work backwards. They select a number (whole number and decimal versions included in the free download near the end of the post) and then record a number that would round to the number on the card they selected. Then they have to prove that their answer is correct. Challenge your students even further by having them create more than one number that would round to the selected number. The second rounding activity may require a bit of modeling upfront to make sure the students understand the process. For this activity, the students are given three numbers (whole number and decimal versions included). They must analyze the numbers and think about how they could be rounded. 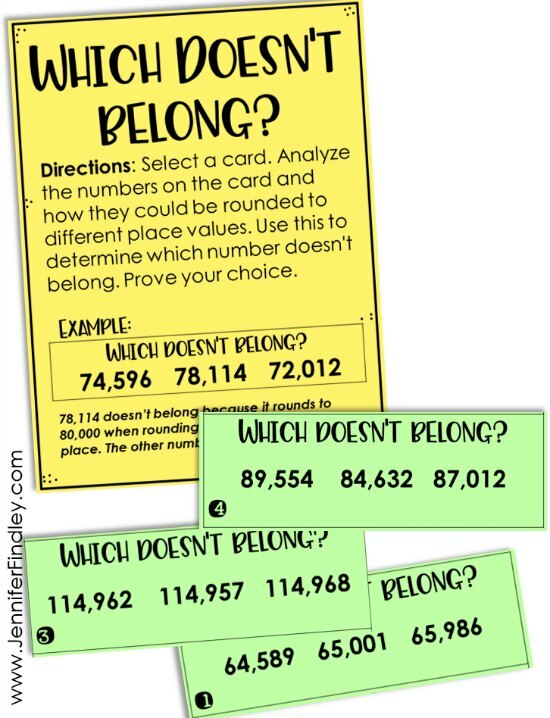 Then, they select one number that does not belong based on rounding rules. I have included a sample answer key for this one. Challenge students even further by having them create their own cards once they have completed all of the cards included in the free download. 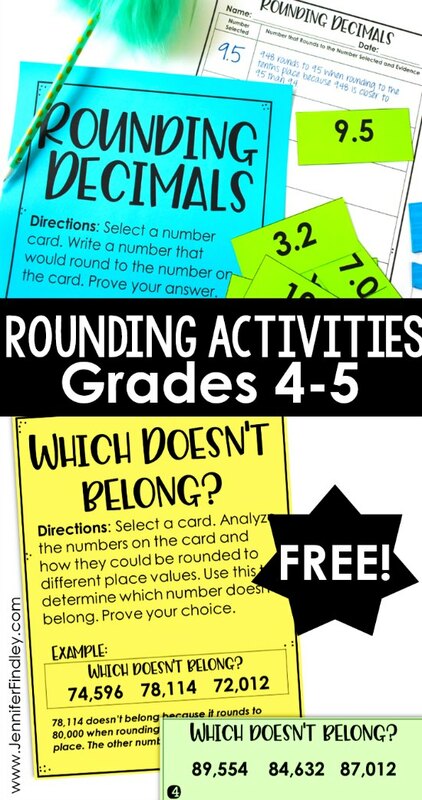 Click here or on the image to download the rounding activities shared on this post. Remember to print and use the version that works for your grade level. 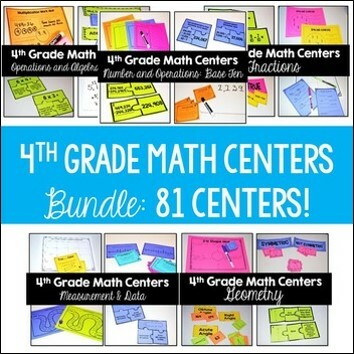 Want More FREE Math Centers for Grades 3-5? 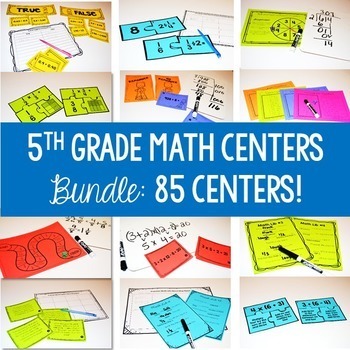 I absolutely don’t know how I lived without having math centers for my 5th grade students. 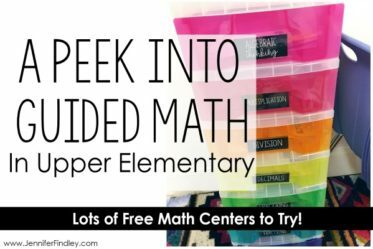 To see my favorite math centers and download complete freebies to try out each type of center, click here. Scroll down to your grade level and start downloading and printing! 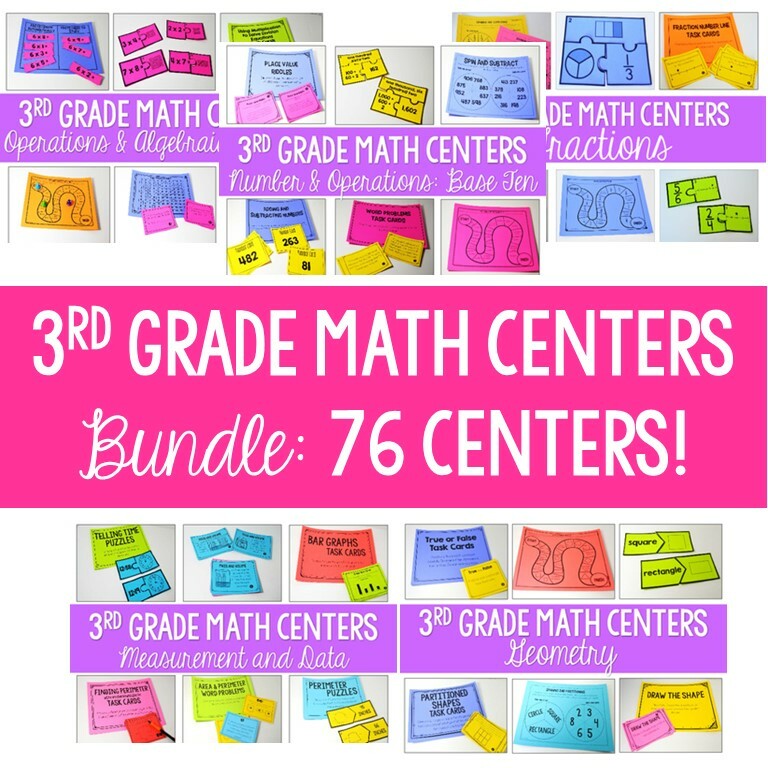 If you love the math centers as much as I do, you can purchase full grade level sets using the links provided on the same page. These are my go-to recommendations if you are looking to purchase one resource to have a variety of math centers and activities to use all year. Click on the image that matches your grade level to read more. 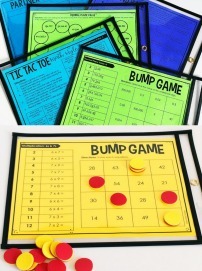 Want more tips and resources for math centers? 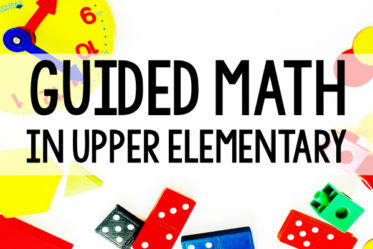 Click here to see my collection of posts all about guided math and math centers. Love love love these freebies! I was desperately looking for something for my 5th graders to flex their higher order thinking. This is going to be perfect for stations. THANK YOU!